Development and deployment of solar farms continue to increase across the U.S., driven by tax incentives, falling costs and renewable energy mandates for electric utilities. Solar farms are built on farmlands that no longer generate enough revenue or have been abandoned, with some farmers entering into leases of 15–20 years with local utilities and others selling the land directly. The big picture: Farmers who enter such leases benefit from greater revenue and stable income from rents, while utilities and solar companies benefit from access to cheap land. Although this seems like a win-win for all, some neighbors are getting upset at the change in landscape. The background: Farmlands offer flat, well-defined properties without the risk of floods, making them well suited to solar farm installations. In Illinois, the Future Energy Jobs Act set targets for the state to get 25% of its electricity from renewables by 2025. This has spurred a great deal of interest from private developers both in and out of state. Similar disputes are occurring in North Carolina and Florida. And in New York, residents are complaining about out-of-state companies applying for permits without the landowners' consent, forcing the state to require that developers show landowner consent as part of the project review. What’s next: Local zoning and planning boards will typically hear concerns and develop ordinances to establish rules for site acquisition and construction, though it's unlikely they'll be able to satisfy all parties. 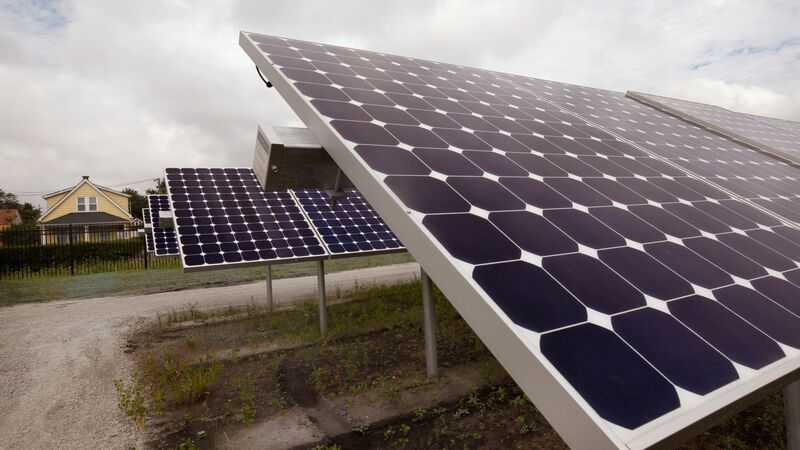 But despite setbacks and delays, the environmental and financial benefits of solar on U.S. farmlands will most likely lead to more developments.